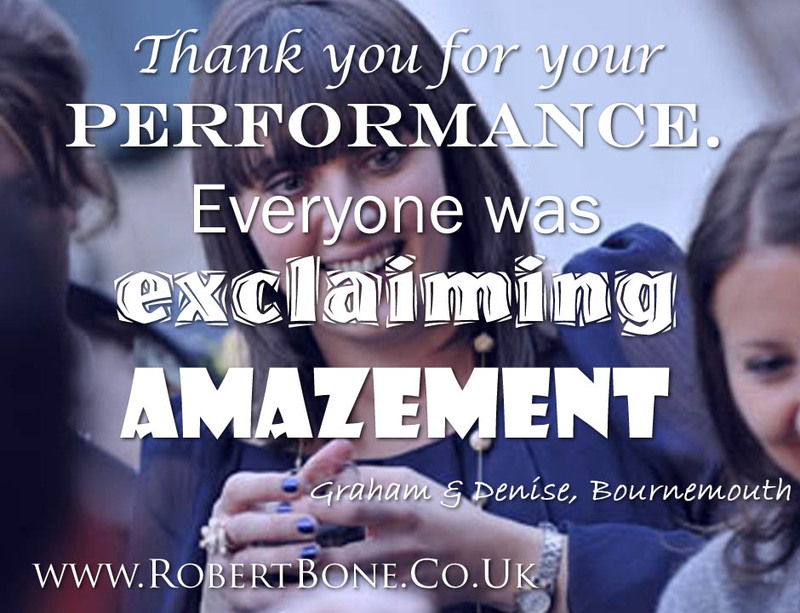 Hi, my name is Robert Bone, and I am a professional magician and mind reader, entertaining at events across Dorset. I entertain with fun demonstrations of sleight of hand, memory feats, psychological reading and hypnotic suggestion. I have a naturally dry wit; creating an exciting, fresh, lively and intellectually stimulating genre of entertainment. Perfect for creating a talking point at any event! I grew up in the New Forest area; and later moved to Poole, and then Blandford Forum. I still perform in those area, as well as many events in Bournemouth. Because I regularly travel nationally it’s nice to doing bookings back on “home turf”, where I know the area and don’t need to depend on follow the sat-nav to find the venue – though trying to find some of those hotels in Bournemouth can be more than a little challenging on a dark December evening! Over the years I must have performed at weddings and events at pretty much every major (and quite a lot of smaller) wedding venues within Dorset. I also perform at corporate hospitality events, awards galas, trade shows and private parties across the UK (and even internationally); and can entertain whilst mingling with guests during a reception, between the dinner tables as well as a stand-up cabaret show. 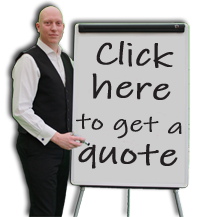 You can book me with confidence, having turned full-time professional in 2006 I have a wealth of experience, and should the worst happen I am covered by £10 million Public Liability Insurance. You can rest assured that your guests will be in capable hands seeing some amazing entertainment. Whether your guests all know each other, or are strangers and need something to break the ice; my interactive performance (whether on stage or close-up) is a real conversation starter. I can perform close-up magic in a variety of settings, whether mixing in a wedding reception, at the dinner table, stand-up on stage or promote your company at a trade show or exhibition. Whatever the reason: birthdays, Christmas parties, weddings, dinners, exhibitions, product launches, trade shows and corporate hospitality are just some of the events that can benefit from a magical experience. Contact me now to discuss how he can make your event a magical occasion. 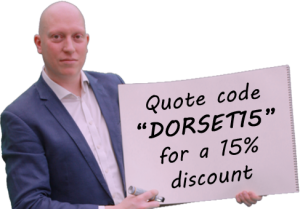 Email robert@robertbone.co.uk, complete the quote request form or call direct on 07930 420 257.